Lately, I found some cadastral data in dwg format in order to extract parcels for a research of mine. Through use of Draftsight I converted this kind of file in dxf format, much more readable in a Gis Open Source like QGIS. But, when I was opening those files I discovered that Draftsight doesn’t have assigned any reference system to my data, leaving it in x-y undefined coordinates. Because of convenience reasons, I performed a one more conversion, now in shapefile format. 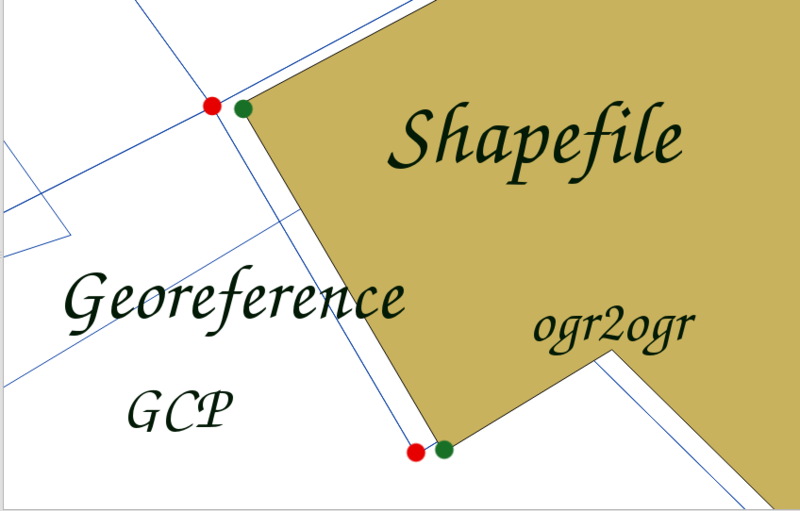 Then,I compared the own vectorial in dxf with one having known coordinates in WGS84 in order to extrapolate GCP – Ground Point Control by Catch Coordinates of QGIS.